If rod shaft diameter in this area measures about 3/8” (9.52 mm) – select the Small model. LineDancer® is constructed of stainless steel however its design allows for some flexibility. Remember you want a snug fit. 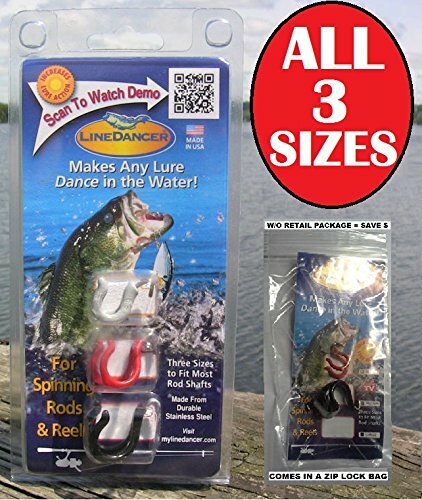 A LineDancer Set contains one of each size.